At first, we thought that this would appeal mostly to passionate educators, students, and facilitators who don't necessarily think of themselves as artistic, but who want to incorporate visual learning into their work. We have been honored (and bit intimidated) to see veteran graphic recorders and guru facilitators joining as well! This is truly a global classroom: Students from the UK, Belgium, Singapore, Ecuador, Australia, New Zealand and all over North America have jumped on board. There have been some great questions and we will do my best to answer them all. QUESTION #1: WHAT TIME ARE CLASSES AND WILL I BE ABLE TO WORK THEM INTO MY HECTIC SCHEDULE? The main question has involved the class format. So, to be clear, this is a self-paced set of video modules. Once you register, you receive one module every seven days. The course is divided into six modules, one per week. But don’t worry! There is no set schedule to view or complete any of the assignments. This is built for your personal development. Work at your own pace. Each module builds upon the previous section and supported by videos, references, suggested reading, and PDF documents. You can review videos and materials at anytime, day or night, on your laptop, iPhone, iPad or web-enabled device. QUESTION #2: HOW MANY SLOTS ARE AVAILABLE? Our goal is to have the community be large enough to generate some real energy and vibrancy, but manageable enough to actually get to know people and interact. QUESTION #3: HOW MUCH DOES IT COST AND WHAT DO I GET? First off, before Aug.1st, students will save $200 on the course. That is close to 40% off! Afterwards, the price will be $497. 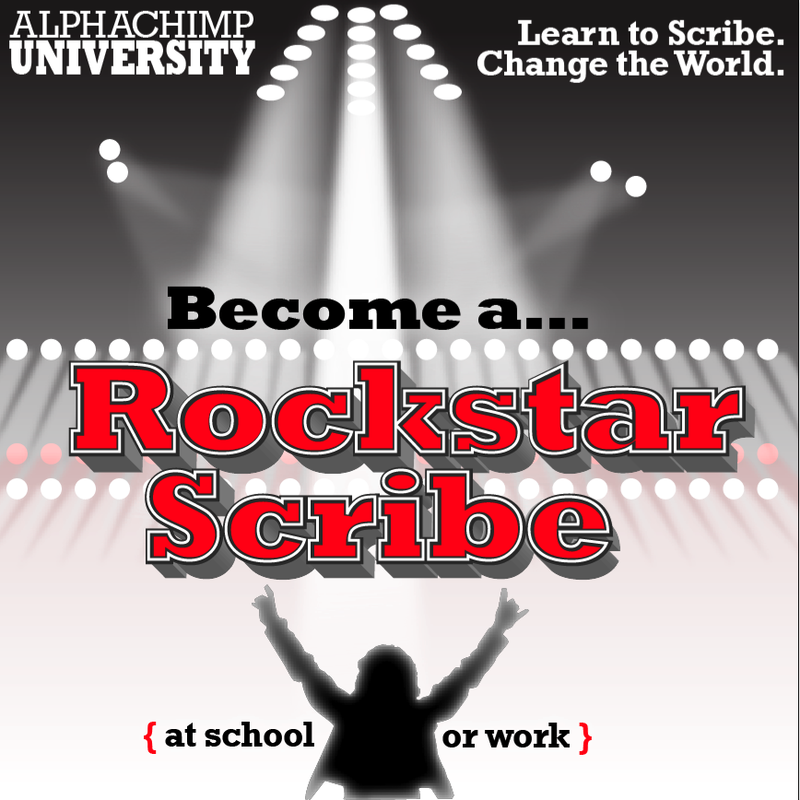 Second, you will have access to awesome video tutorials packed with techniques, tips, tricks, and technology to kick-start your Rockstar Scribe status. Third, those who have signed up are already sharing their hopes, dreams, and artwork in the Rockstar Trailer, a platform for uploading photos and videos as we go through this creative journey together. So, this is truly interactive and, er, dare I say,... fun! Finally, there are some pretty deep discounts available for groups of 5 or more, so bringing along friends and colleagues with pay off. QUESTION #4: WHERE DO I SIGN UP? Hope to see you in our August class!